Credit cards and debit cards may look alike, but they serve very different purposes. They’re both rectangular in shape, and have a 16 digit card number, pin code and expiration date - besides that though, they function very differently. Using a debit card is like paying with cash; it’s tied to your bank account, and when you buy something, funds are withdrawn from your available balance. Debit cards can be used online, and anywhere that displays a Visa card or Mastercard logo. Credit cards are used quite differently. When you make a purchase using your credit card, the loan is drawn from a predetermined amount, known as your ‘credit limit’. You can pay it back, and then draw it out again. Before getting a credit card, it’s important to spend time comparing different credit cards as each one serves a different purpose. Let’s look further into the differences between credit cards and debit cards, and which may be the better option for you. Car broken down and need to pay to have it fixed? Need to replace your dishwasher that’s just busted? Credit cards can help with unforeseen expenses and give you the flexibility to pay it off over time. It takes the stress away and allows you more time to organise your funds. If you lose your wallet with a wad of cash in it, it’s likely that money is gone. However, if you lose a credit card, it can easily be cancelled before any funds are withdrawn. Also, if you report your stolen or lost card to your bank, you’re protected against any unauthorized use. With the ability to withdraw funds (up to your credit limit), you can use the bank’s money when you don’t quite have enough yourself. This is ideal for those in-between pay days where you need a bit more money to get you through until you have more funds available. Many of New Zealand’s top credit card companies are offering great rewards when you sign up for a Mastercard or Visa credit card. There are a variety of rewards on offer, such as low interest rates, cash back, hotel and travel points, gas points, airline points and much more. If you go over your credit limit, and you fail to make the repayments on time, you’ll be charged interest on your purchases. These interest rates can be as high as 20% per annum, making it difficult to get your balance back under the line if you continuously fail to make repayments. What is probably the biggest disadvantage of credit cards is that they easily encourage people to spend money that they don’t really have. The idea of “free money” goes down a bit too well with some spenders, who don’t put much thought into the repayments and high interest rates until it’s too late. Just like cash, credit cards are sometimes stolen. They can either be physically stolen, or someone could steal your credit card details, allowing them to spend your funds at will. Luckily, you can phone your bank to cancel your card as soon as you realize it’s been stolen, hopefully before it’s too late! Some credit cards come with fees and charges when exceed your credit limit or when you don’t make your repayments on time. You may also be restricted with when and how you can use your card - for example, some banks will charge you for using your credit card abroad. For a lot of Kiwis, the biggest appeal of debit cards is that you don’t (and can’t) go into debt when using them. You are limited to what’s available in your bank account, and your card will simply not work when you run out of money (unless you have signed up for overdraft protection). One of the biggest advantages to owning a debit card is its convenience to use. They’re easy to manage and handle, and are accepted worldwide at millions of locations. You can also easily use your debit card at any ATM to withdraw cash if you’re in need of it. Another great thing about debit cards - you don’t pay interest on the money you spend… since it’s your money! Debit cards are quite inexpensive in comparison, as banks don’t charge the annual fees that some credit cards do. Some New Zealand banks are now offering rewards when you sign up for and use your debit card! You have the ability to earn points with every purchase that you make. Points can be redeemed for a range of things, from movie and travel tickets to retail discounts and more. As you can only spend the funds that are available in your bank account, you’re quite limited to your spending ability. So if you were tempted by a high priced item or wanted to take a last minute vacation overseas, you’d have to save up for it first! While there aren’t typically fees associated with your checking account (that’s linked to your debit card), there are still fees you could face depending on how you use it. For example many banks will charge you a fee to withdraw money from an ATM that’s not affiliated with your own bank. Unlike credit cards, debit cards do not have any impact on your credit score; this means that it can be difficult to build it up. Having higher credit score helps to contribute to lower interest rates and increases in your credit card limit. Some merchants will put a hold on your money to ensure you have sufficient funds when you make a transaction. For example, some petrol stations will put a hold on a set amount of your funds before pumping petrol into your car. This hold is only temporarily (24 to 48 hours), but means your funds are blocked for sometime. So should you have a credit card or debit card? To put it simply; a debit card spends your own money, whereas a credit card allows you to borrow money and pay it back later. It’s really about choosing the best card for your situation. If you’re known to have spending and saving issues, your best option would be to use a debit card. Debit cards are best for instore and online purchases, cash withdrawals and debt avoidance, as they prevent you from accidentally falling into credit card debt. Fees are kept at a minimum, and they are accepted in millions of places across the globe. For those who are good with tracking purchases and making payments on time, having a credit card could be the right option for you. As long as you keep on top of your monthly repayments, many would argue that credit cards are the better option to take advantage of the many credit card reward programs available. In some cases, having both a debit card and a credit card can work for some Kiwis. This works by using the debit card for everyday expenses - i.e. food, bills, rent etc - and using the credit card only for larger purchases - such as holidays, furniture and electronics. Dedicating a card to certain expenses, as well as ensuring repayments are made on time, can provide the card user with a lot of benefits. What should you do if you lose your credit card or debit card? Nobody likes the idea of losing their credit card, but luckily there are steps you can take to make the process easier and ensure your funds stay put. Your first step is to call your bank immediately and report your card as lost or stolen. They will generally cancel your card straight away to avoid any potential fraudulent transactions if someone has found it. Some banks also have apps that allow you to lock your own card when you login to your account. Next, check your credit card statement and keep records of any transactions that may have been made since the card was lost. Note down your account number as well as the date and time you noticed your card was missing. This information will be vital to your bank if any fraudulent transactions were made. If you notice any purchases made on your card since it was lost, let your bank know immediately. The more details you can provide, the better, as this will give you a more successful chance of getting back any money that was unwillingly taken from your account. In future, only carry the cards you really need, and be sure to keep it securely in your purse or wallet. At the end of the day, deciding between getting a credit card or a debit card is a personal choice, and depends greatly on your own spending and saving habits. There are both pros and cons to each, and it’s important to consider each of these before committing to one. If you’ve decided that a credit card can provide you with the most benefits, we can help you find the best credit card deals in NZ. 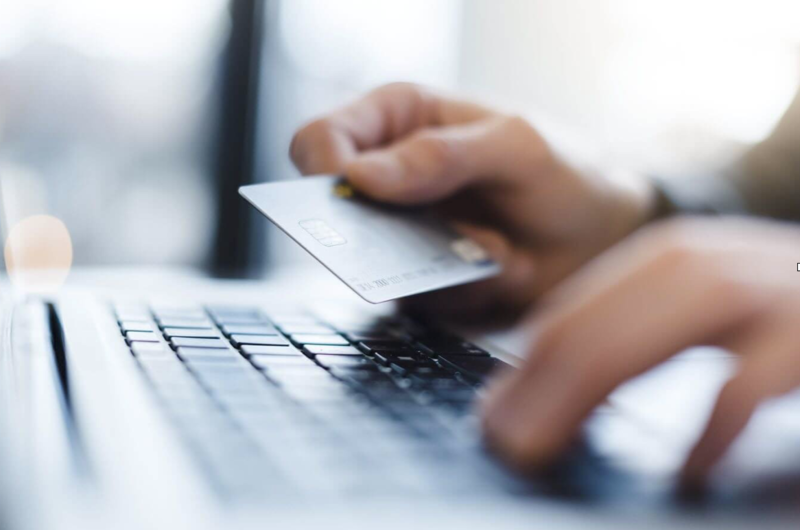 Simply use our credit card comparison tool and we’ll let you know the latest options, sorted by the lowest interest rates and best rewards available!